A 19-year-old Leona Valley woman died Monday morning after her car drifted off Bouquet Canyon Road and crashed into a tree, authorities said. Elena Kramer was pronounced dead at the scene by Los Angeles County Fire personnel. Emergency personnel responded to the single-vehicle collision around 8:25 a.m. Monday, Jan. 4, on southbound Bouquet Canyon Road, south of Spunky Canyon Road, according to a California Highway Patrol report. Kramer was driving a 1999 Ford Mustang, which drifted left onto the dirt shoulder, according to the CHP report. Kramer lost control and the Mustang’s right side collided with a tree, the CHP report states. “Once on scene, both CHP and LA County Fire began rendering aid, however [Kramer] suffered fatal injuries and was pronounced deceased on scene,” the CHP report states. 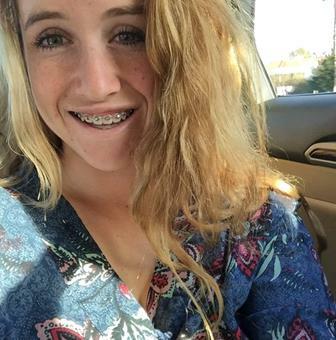 13 comments for "Teen killed in Bouquet Canyon Road crash"
My heart gone to her and her family. stopped by the seen and I prayed and I prayed so hard for the young and her mother and father . family.. .
My thoughts and prayers for the family and friends. Rest in paradise sweet angel…..
My thoughts and prayers go out to the Kramer family. She was always lots of fun when I saw her at Leona Valley’s school functions. We always talked about our Yankees. Heaven gained an angel. Praying for the family and friends during these difficult times. I’m so sorry for your loss! Wow…. She was an incredible young woman and a hell of a softball player. Condolences to her parents. Very sad, condolences to the family.